Hello Sandsters and Happy Sunday! Hope your project is not going terribly, or if you haven’t started, that your design work is glorious and exciting! Today, we present a Short Blog. We primarily are reminding you again about filing for new FEMA claims if you think you are entitled to more money, because time is running out. We talk about project delays, and touch on the latest contemplated RREM lunacy about performance bonds. We have some RREM news, with a link to an article in NJ Spotlight about reopening FEMA cases, with commentary by George Kasimos. We talk about the next Nearly Famous Rebuilding Seminar which is Thursday night June 25th at Tuscan Bistro Bar in Toms River. Letters have gone out to ALL policy holders who made a claim for Sandy damages. If you haven’t filed yet, should you? Here is a good article from NJ Spotlight. It helps clarify some points. Thanks to George Kasimos, president of Stop Fema Now, who has some good quotes regarding this issue. At this seminar, we’ll focus on working with people who need engineering or architectural design advice, RREM guidance at the initial stages, and information about choosing the right builder or contractor. I can comment and help many people in the active stages of construction either online, through email, text, or phone, but the Sandsters that are just getting started are the people that most need a team of professionals in person answering specific questions. We’ll start at 6 and be in the Fire Room, which is a really cool outside space. Our speakers will be Kathy Dotoli, Esq., and Scott Lepley or Jeff Barton, architects. I will moderate and discuss RREM and general construction issues at this seminar. George Kasimos from Stop FEMA Now may also speak regarding current FEMA news and to discuss the details about RREM reopening claims due to fraud. It will be a great seminar and as always we’ll try and clear up rebuilding confusion. Soft drinks, beer, wine and pizza will be served and it should be interesting, and maybe some fun. In the meantime, send me an email or give me a call at 732 300 5619 and let me know your interest in attending. Space in the outside Fire Room is limited to about 30 or so people. Go back and reread the 6-7 blog. It is 2-3 pages and will help you if you have questions. In short, you’ll wait longer, pay more and have personal and societal quality of life disturbed for a longer time. Please note that you saw this information in this blog on this date. The summary is, if performance bonding is made mandatory for RREM projects, it will hurt every single Sandster, and set the economy back several years. Please voice your opinion to your PM and housing advisor, as well as directly to the DCA RREM Hotline. This is an important item, which is being overlooked and ignored. Stop FEMA Now Association: We’re now a proud sponsor of Stop Fema Now (www.stopfemanow.com) which is an excellent organization trying to save and protect NJ Sandsters (as well as other states) from FEMA tyranny. To get involved and either donate or volunteer your time to this worthy effort, please visit their web site, which is listed above. Design work and timing: Fall 2015. You should be working now on your design scope and scheduling for a September / October start to your project. We currently have a dozen Sandster projects we are starting in the fall – all have either completed or are actively working on their design scope at this time so permits will be ready and plans can be made to secure alternate housing. 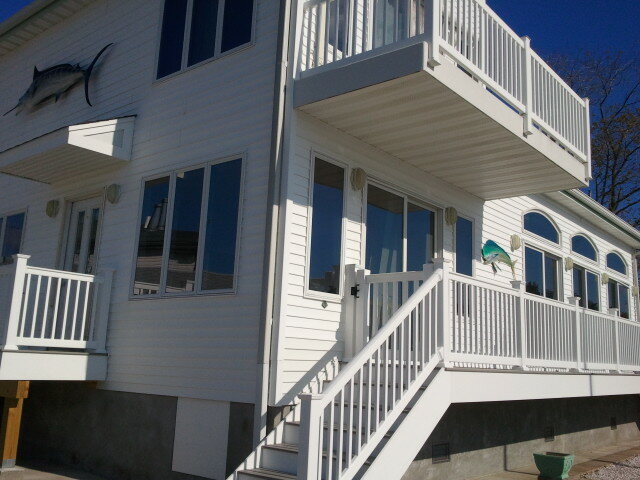 Besides, there are much cheaper rentals in the fall/winter at the shore. Today we tell you how to Avoid Being Ripped Off, remind you about filing for new FEMA claims, and touch on the latest contemplated RREM lunacy about performance bonds. We have some RREM news, with a link to an article in the Press. We talk about the next Nearly Famous Rebuilding Seminar which is Thursday night June 25th at Tuscany House restaurant in Toms River, which should be interesting, since we’re adding some wine to our whines. We remind you again about material and labor shortages, and proper planning. Okay, here we go. Let’s roll. We’ve got houses to build, and Sandsters to protect from themselves – and others. Some of the projects we’ve just completed. At this seminar, we’ll focus on working with people who need engineering or architectural design advice, RREM guidance at the initial stages, and information about choosing the right builder or contractor. I can comment and help people in the active stages of construction either online, through email, text, or phone, but the Sandsters that are just getting started are the people that most need a team of professionals answering specific questions in person. In the meantime, send me an email or give me a call at 732 300 5619 and let me know your interest in attending. Space in the outside Fire Room is limited to about 30 or so people. Letters have gone out to ALL policy holders who made a claim for Sandy damages. You have 60-90 days to respond initially after receiving your letter, if you want to reopen your claim. I had an exhaustive list of bullet points in the last blog, and encourage you to reread it if you haven’t already. Here is a decent article to view. I’ve gotten so many repeated requests about repeating this topic because Sandsters keep getting ripped off, that I am reposting a previous blog almost verbatim. It’s all about what you are paying for and when you are paying for it. We’re hearing too many sad complaints from people and hearing too many stories about builders absconding with client’s money or not being able to finish projects because payments are tendered before work is complete. A few bad apples can ruin the whole barrel and it is my continuous personal crusade to root out and get rid of this type of person…no one needs it and it gives the profession a bad name and negative image. Today’s post is not about the delays in RREM payment and the problems that may cause with your contractor if they cannot move forward until receiving payment, although that is a constantly recurring valid concern. Rather, this post is about how exactly you should tender funds, whether you’ve received them from RREM, insurance or ICC, or you are working with your own money. It’s about the protocol and the discipline of monitoring a project, as opposed to the details regarding where the money is coming from. As a general rule, smart Sandsters pay for work in place and do not give (large) deposits on work to be done in the future (with certain limited exceptions). I tell you three times, I tell you three times, I tell you three times. Repeat that aloud every single day you are involved in funding an active project. Like many rules, there is a vast amount of flexibility here. Common sense is essential in order to effectively protect your interests, and still keep your project moving forward. Paying for work in place, that has been inspected by either/both you and the township inspector, is a generally accepted best practice in building and contracting since the beginning of recorded time. In any case, if your builder is asking for deposits ahead of work in place, you should meet the following conditions or take the actions I list here. Specifically determine what these advance funds will be used for, before making any significant payment ahead of completed work. 2. Absolutely know and trust your builder, their work and their reputation. 3. Think carefully before you expend any amount greater than 10% of your project cost at any single time, for work not already in place. 4. Thou Shalt Not Rush and Maketh Decisions in Haste When It is Not Necessary. 5. Get at least one other qualified individual in your life to tell you (in writing, whether email, text or letter) that you should proceed. That person can be your spouse if they are capable of dispassionate analysis (and you are comfortable with the possibility of separation or divorce), your attorney, another builder you know, or an architect or engineer. If you cannot find someone qualified who will put their advice in writing, you are probably making a mistake in paying for something ahead of completion. 6. Definitely do not tender advance payment to out of state contractors. Your recourse is limited to actions you can take against their NJ subsidiaries. Specifically, avoid construction companies that fly in from Louisiana. 7. If all else fails, and you are still perplexed, do some legwork and check with the township, Better Business Bureau, and the Departments of Community Affairs and consumer fraud. Contractors who are consistently illegitimate do not last long in NJ. We’re a vocal bunch of Sandsters and spread bad news far and wide. Chances are, if you follow these simple rules, you won’t make too grievous of an error. If you are in doubt and have no one else to consult, use me as your Phone – A – Friend and I will talk you away from the Paying Ahead Ledge. However, as with any simple set of rules or protocols, there are many exceptions. When you sign your contract, you should expect to pay between 5% – 10% of the total project cost. We sign contracts with clients for $1000 if clients are waiting for money, but generally it’s $5000 – $15,000. 5%-10% is not unreasonable, because you have probably been working with your builder for a number of months and developed some type of relationship. There is a legitimate cost to starting design work, ordering and securing contractors and material, and gearing up and staging a project. If you are (inadvertently) dealing with someone who is unscrupulous and is going to steal $5,000 – $10,000, the chances are that with a little due diligence you can determine that before signing a contract. If your contractor or builder comes to you with a legitimate cash flow concern (“I’m sorry John, but I really have to wait for that first payment for the elevation before I spend another $40,000 on helical piles…I just don’t have the money to lay out…”) and you don’t want to delay your project, and you have a warm, fuzzy, comfortable feeling about the universe, you can go ahead and spend some money and keep moving along. If you do advance funds ahead of work, because you have satisfied some or all of the above conditions, you should try and tender payment to suppliers when material is delivered to the site. This is actually a very safe, acceptable method of monitoring your project, but very cumbersome and time consuming for you. There is nothing wrong with being on site when material is delivered and paying a supplier directly for it, with the amount being deducted from the total contract. I can write volumes about proper payment protocols, but that’s enough for today Sandsters. In the last few blogs, I’ve written an excellent summary of items to consider when choosing a builder and if you haven’t read them, please go back and do so. To again stress an important point, I remind you that pricing will be between 25% – 40% higher when dealing out of state, or with very large contractor/builders. Of specific note is the concern when you are dealing with one of the original approved Path C contractors. They’ve spent the last 2 ½ years giving estimates for RREM Path C projects which are significantly higher than fair market pricing and they’re now finding it difficult to adjust their estimates to the market. Recent comparisons for projects we have signed, with real numbers: Quoted: $282,000. Dream pricing: $209,000. Quoted: $143,000. Dream pricing: $103,000. Quoted: $128,000. Dream pricing: $88,000. Be warned. Don’t go bigger than you need and don’t go looking for diamonds on a mountaintop when they’re in your backyard. Caveat emptor. 11 Tips for Good Communications with your Builder – Part II: If you missed this article in the last few blogs, go back to it and read it now. It’s really useful for effective communication and good to reread. Much of it talks about being nice to others. Sometimes we forget – You get more with honey than you do with vinegar. Reminder – Repeat: You should not separate the elevation or masonry portion of your project from your entire project scope. These are not items that you should direct yourself, nor will you be able to accurately monitor progress of your project or avoid the inevitable finger pointing if (when) events go awry. You definitely will not save money, though it may appear as if you will. 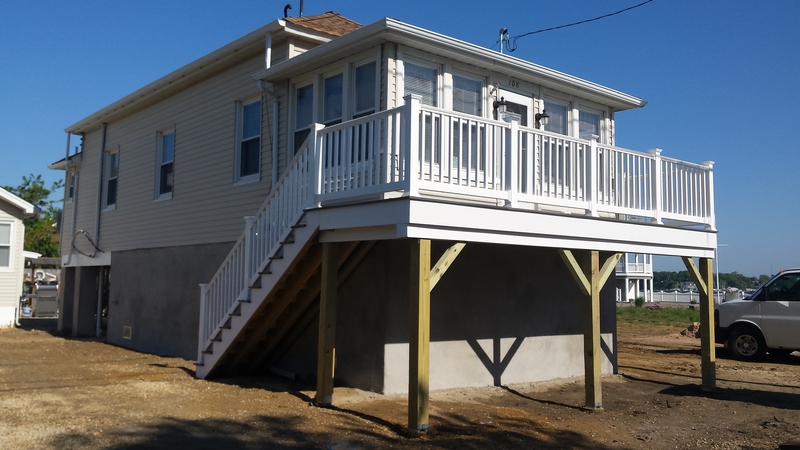 If you would like to build your own deck, do interior finish like painting, sheetrock and cabinets, or perform some other cosmetic, non-essential service, have at it and save some money. Avoid handling mechanical and structural aspects of your project yourself unless you are specifically qualified and have the time to devote to the effort. Sadly, we’ve all been dealing with material and labor shortages since the winter weather broke, and it will be like this for the foreseeable future. There is no way around this concern, except to effect better planning and deal with someone who has the resources to bring to the table when material, subcontractors and labor are in short supply. We deal with several elevation, masonry and mechanical contractors in each field and have the flexibility to seek qualified alternates if our first choices are not available. This can save weeks over the life of a project. Tip: If you don’t want to miss any of my blogs, go the blog and “follow” it. Sometimes I don’t send email alerts when I blog. If you “follow” the blog you will get an email reminder whenever I post. We’re also on Facebook if you want to Friend us or post a comment. Stop FEMA Now Association: We’re now a proud sponsor of Stop Fema Now (www.stopfemanow.com) which is an excellent organization trying to save and protect NJ Sandsters (as well as other states) from FEMA tyranny. Those folks are doing more to try and protect the interests of Sandsters than all the HUD and DCA committees combined. George and his organization are actually attempting to change policy to improve the situation for thousands of Sandsters and that is an effort we wholeheartedly support. If you want to get involved and either donate or volunteer your time to this worthy effort, please visit their web site, which is listed above in this paragraph. Path C to Path B – Update & Multiple Repeat: A note to Sandsters still considering Path C, “Time is much more valuable than money. Don’t waste one minute of your life on a pursuit (Path C) where the guidelines are completely unclear and subject to change, and your project could take 3 times as long.” Sandsters up and down the shore are still switching from Path C to B, so do not listen to anyone who tells you that you are unable to do so. Call / email me for assistance if you cannot get past this point with your program manager. You can now log onto www.dreamhomesltd.com from your mobile device and see a mobile site tailored to a smaller screen. Hopefully this is helpful to mobile Sandsters.